Wigan Athletic have announced the signing of the 22-year-old Australian left back Callum Elder on a season-long loan from Leicester City. Elder has a contract with the Foxes until June 2019. 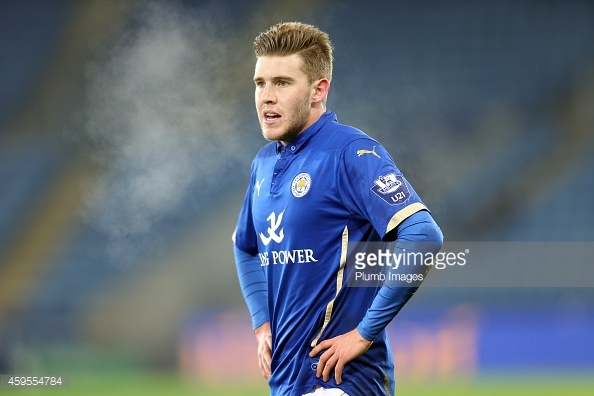 Callum Elder was born in Sydney but went to Leicester City as a 16-year-old. In January 2015 Elder went on a short-term loan to Mansfield Town which was to be extended until the end of the season, making 21 appearances. In August 2015 he joined Peterborough United, his loan being cut short in December due to a foot injury. He had made 18 league appearances and scored one goal. In July 2016 Elder joined Championship side Brentford on a season-long loan. Although a regular in the opening games of the season, a knee injury was later followed by a thigh injury and he returned to Leicester in mid-December for treatment. Elder went back to Brentford in mid-January for a couple of weeks, but was recalled by Leicester, then sent to Barnsley for another loan. He had made 6 appearances for the midland club, going on to make 3 for Barnsley. Elder has represented Australia at U20 level. In order to learn more about Elder we reached out to Peterborough fan, John Verrall (@JohnVerrall). Callum Elder should be a great addition. He is the best left-back we have had a Posh since Darragh MacAnthony became owner and a stand out player at League One level. Elder possesses great attacking ability, and he tirelessly creates an option down the left-side. In offensive positions, he has an excellent delivery and also showed enough trickery to get past a player. Defensively, too, he is strong and he rarely was beaten by an opposition winger. I believe he struggled on loan at Barnsley last term, but in League One he will be one of the best left-backs in the division. Brentford is not a particularly attractive place. Neither is Griffin Park football ground, at first glance. The Bees fans still have three more years to wait before their new stadium is built. But for all its faults the old stadium is well maintained, with a superb playing surface and we had a great view from the away supporters end. Moreover it was a rare pleasure to mingle with home fans before the match started, with no hint of the kind of insularity and hostility that can prevail in the vicinity of some English football stadia. The home supporters were optimistic before the match, their team having scored nine goals in their last two home games. But they were to be disappointed as a resolute Latics side spoiled their afternoon by coming away with a point. 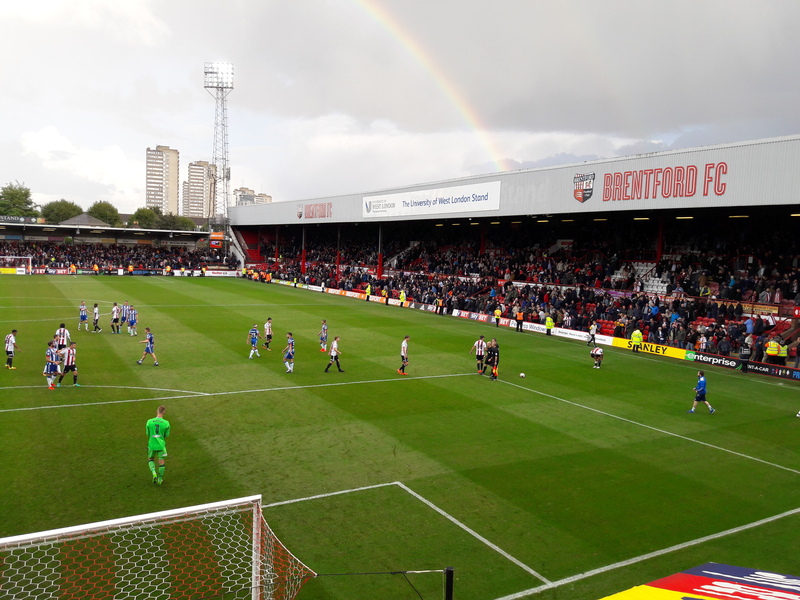 One home fan went so far as to say that the only entertainment of his afternoon was provided by the stunning double rainbow which hovered above the stadium in the second half. On the other hand the Wigan fans were appreciative of what they had seen. Their team had shown the kind of defensive strength that had been missing since the start of the season. That, together with the rainbow, will stick in many of our memories over the weeks to come. Gary Caldwell’s tactics certainly worked. He packed his midfield, denying the home team of space. Will Grigg cut a lonely figure for most of the first half, the midfielders holding back rather pushing forward to support him. Wigan’s attack was muted, but so was that of the home team as the Latics defence held firm, shielded by a combative midfield. The home crowd had seemed muted too, their hopes of another goal-fest diminishing by the minute. When the second half started it looked like a goalless draw was the most likely outcome. Could the Wigan defence hold out or was all the good work going to be ruined by sloppiness as the final whistle would approach? Caldwell was likely to bring Yanic Wildschut off the bench at some stage, but it seemed more likely to happen later rather than sooner. Strangely enough Caldwell made a double substitution in the 57th minute, bringing on Wildschut and Nick Powell for Nathan Byrne and an ineffective Jordi Gomez. Caldwell was opening up the game with the substitutions. On one hand Latics were to increase their attacking intent. On the other Brentford were to enjoy more space. Powell and Wildschut did enliven the Wigan attack, while an under pressure defence still continued to hold firm. The 0-0 score at the end was a fair result for both sides. The central defensive pairing of Jake Buxton and Dan Burn was strong in this game. They are clearly developing a mutual understanding. After a shaky start at the club Burn has shown his mettle in recent weeks. He was arguably the Man of the Match yesterday, towering above the Brentford forwards, his positioning sound and tackles firm. However, it could be argued that Buxton was just as good. He does not catch the eye as much as Burn can. Buxton just seems to get on with his job, nothing flashy, but solid and reliable. It was noticeable from an early stage in the game that the two had been given licence to clear their lines when under pressure. The inter-passing between defenders that had been problematic in previous matches had taken the back seat to a more pragmatic approach of safety first. There has been much talk about the merits of 4-3-3 over 3-5-2. Although seemingly playing with a back four yesterday the presence of Shaun MacDonald so close to the central defenders reminded one of the role Ben Watson could play in the Martinez era. After getting so little playing time over the last two years the Welshman is getting back his match fitness and sharpness. He played a key role yesterday. The point yesterday puts Latics out of the relegation zone. The cohesion is gradually developing and it is starting to look much more like a team rather than a collection of individuals. There will be ups and downs ahead, but the squad has sufficient quality to at least hold its own in the Championship division. How good is Will Grigg? In the past 20 years just four players have scored 20 goals in a season for Wigan Athletic. Nathan Ellington scored 24 and Jason Roberts got 21 when Latics were promoted from the Championship in 2004-05. Graeme Jones scored 31 when they gained promotion by winning Division 3 in 1996-97. Will Grigg has scored 23 goals already this season, 20 in league games and 3 in cup competitions. His team is already practically odds-on for promotion. The goals of Ellington, Roberts and and Jones were key to their team’s promotion successes. It looks like those of Grigg could prove to be the same. It is the third time that Grigg has exceeded the 20 goal per season mark with a League 1 club. He first did it for Walsall in 2012-13, leading him on to win their player of the Season and Players’ Player of the Season awards. However, rather than build on his successes in the midlands Grigg moved on to Brentford, who at the time were then in League 1 under the management of Uwe Rosler. The move from Walsall had been acrimonious. The player had been out of contract, but since he was under 24 a Football League tribunal required Brentford to pay a £325,000 fee plus add-ons. The Walsall manager Dean Smith said at the time that “If he were leaving to go to a better side I would have thought he would have done better than Brentford.” Ironically Smith now finds himself manager at the West London club. 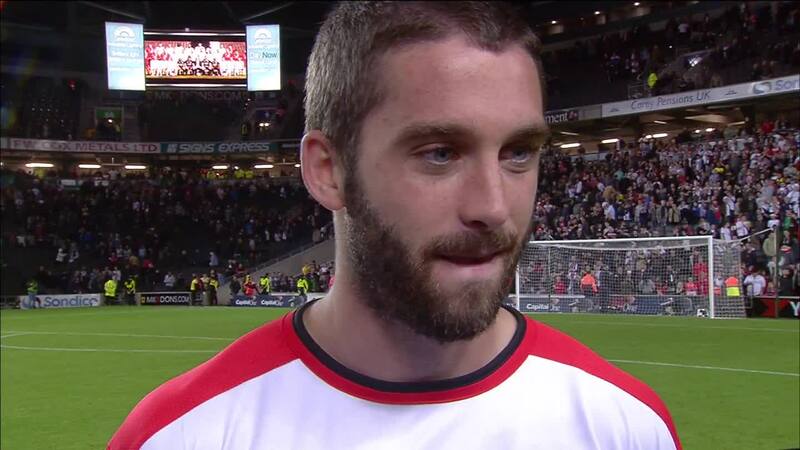 Given his success in League 1 it had seemed that Grigg would be moving up a level, to the Championship at least. His move to Brentford did not work out as he would have hoped and in the 2014-15 season he was sent off on loan to the MK Dons, an eventful move which put him in the limelight when he scored a brace to knock Manchester United out of the League Cup, scoring 20 goals in the league. In June 2015 David Sharpe’s gave his guarantee that Wigan would have a 20 goal striker in their lineup this season. In mid-July he got his man, paying Brentford £900,000 for Grigg. It was a huge fee for a club in League 1 to splash out, particularly for a player who had never played at a level above League 1. Grigg was brought in to provide the firepower to get Latics out of League 1, but were Latics also looking beyond that? Were they expecting Grigg make it as a striker in the Championship? At his best Grigg is a handful for any opposition defender. He has the ability to time his runs to create space when surrounded by the tightest of defences. His workrate cannot be faulted and he is a real team player. Grigg relies on his intelligent movement rather than sheer physical power to get past defenders. He is a genuine goal poacher, a dying breed in the modern game. Grigg also has a good temperament as evidenced by receiving just one yellow card in the season so far. This is despite the rugged treatment he so often gets in a division where too much cynical and tactical fouling goes unpunished by referees. Still only 24 years old his best is surely yet to come. However, like any striker Grigg can have his off days. In the visit to Walsall in February he had at least five gilt-edged opportunities to score, but fluffed them all. Latics had to rely on a last minute winner from Yanic Wildschut to bring home the three points that their superior play had merited. But Grigg can opportunities with genuine aplomb, in the style of a “natural” goalscorer. There is finesse to Grigg’s game that suggests he can make it at a much higher level than the third tier of English football. As his confidence grows and he matures as a player he will put home an even higher proportion of the opportunities that come his way. Grigg’s first season at Wigan did not start particularly well. In its first quarter Grigg had struggled to reach the goalscoring form that Caldwell would have hoped for. He had scored just three goals, two of which were penalties. After starting in the first six games he missed the match at Chesterfield through being on international duty for Northern Ireland. He came back as a 66th minute substitute at Port Vale, but was to pick up an elbow injury which kept him out of the next two games. He made his return as a 77th minute substitute, scoring the equalizer during added-on time against Millwall. Grigg returned to the starting lineup for the next game against Walsall, but was substituted after 70 minutes. 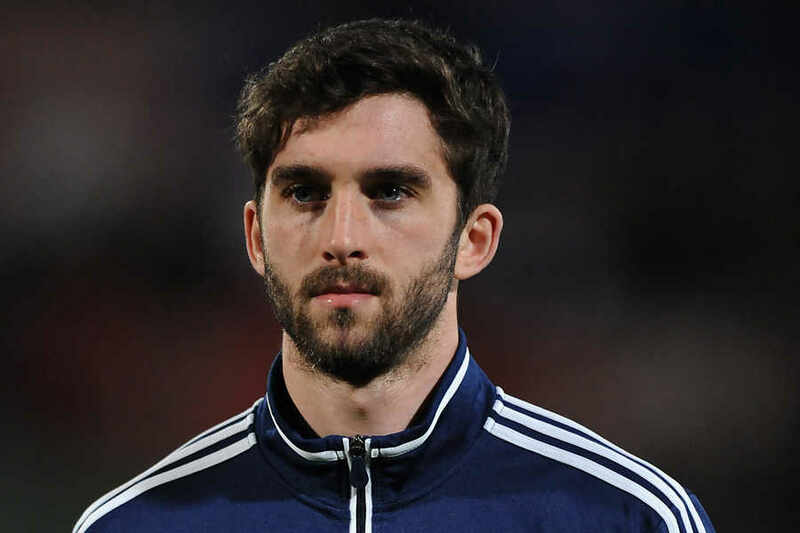 However, international call up knocked on the door again and Grigg missed the last two matches at Crewe and Bury. By Christmas Grigg had notched 8 goals for Latics. Since then he has scored 15 more. Grigg just does not seem to do so well in the earlier part of the season. In fact in his 20 goal season at Walsall he had only scored 5 by Christmas. At MK Dons he scored 9 by Christmas, followed by another 13 by time the season finished. At Milton Keynes, Grigg had to play second fiddle to Benik Afobe until the latter’s 19 goals persuaded Wolves to pay serious money for him in January 2015. This and a loan move to Fleetwood of the Dons’ other main striker, Tom Hitchcock, opened up the door for Grigg to be the automatic choice as a lone centre forward. Grigg was to thrive on the consistency of having a regular first choice berth. At 24 years of age, Will Grigg has a bright future ahead. His immediate target will be to score goals in the remaining five matches to help propel Latics back to the Championship. But the irony is that should that promotion come into effect and should Grigg continue to score goals, he will surely arouse the interests of the big clubs that dominate the English game. Despite a slow start Will Grigg has become a key player in Wigan Athletic’s promotion push. Fans will be hoping he will continue to knock in the goals for the Latics for years to come. In addition to the MK Don fan’s view on Latics’ new signing, Will Grigg, we also reached out to a Brentford fan to give us an insight on the player’s time there. He had a good start to the season. Scored a brace on his home debut vs Sheffield Utd – missing a penalty for his hat trick. Brentford fans thought our time had come. Beating Sheffield Utd – the team who last season came so close to promotion to the Championship – was a real barometer of how we had stepped up. Or so we thought. Our next two months were fairly average to say the least .. whilst Sheffield United went from bad to worse. In order to learn more about Grigg’s time at MK Dons we reached out to Harry Wright the Cowshed Chronicles BlogSpot. But it’s not just the goals Grigg gets that made him a fans favourite in Milton Keynes, despite not even being our player, it’s the manner in which he plays and the qualities he brings to the squad as a whole. Without having much strength due to being just 5’11 Grigg is a very clever player, his movement and trickery to evade defenders often means he finds himself in acres of space. A classy, natural goal scorer, Grigg is a poacher, frequently in the right place at the right time to finish off the hard work done by those supporting him. Effective yet unspectacular the forward will get goals wherever he plays for sure. Grigg’s work rate his also very good, never giving up on chasing a lost cause, combining an element of comedy in his celebrations with a dance branded ‘the Griggle’ by Dons fans, the striker’s personality rubs off on the fans and team mates alike and will not only add quality to the squad but also lighten up the dressing room at the DW stadium. Grigg is undoubtedly a brilliant signing at League One level with proven experience and quality. The only question will be, can Wigan get enough support up to him to the poacher to get the goals to fire Wigan back to the second tier?